We provide a range of Business Consultancy services where people are placed at the heart of the organisation. We focus on helping clients recruit, develop and harness leadership capability and provide the framework, as well as expertise, to manage talent through all aspects of the employment life cycle from attraction to exit. 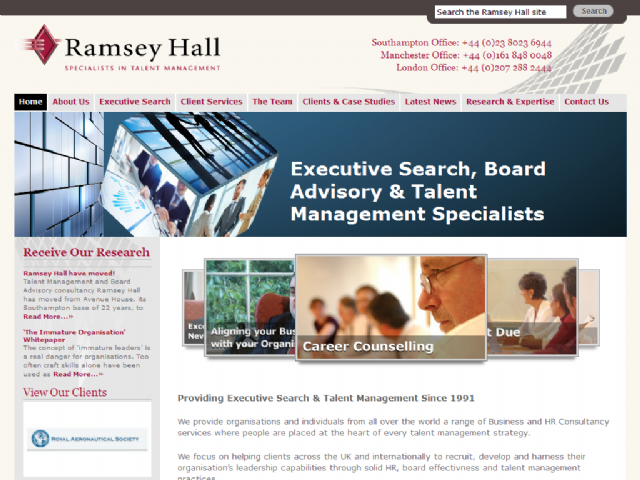 Our work includes: executive search; boardroom consulting; leadership development & succession planning; career transition; interim management and a range of business psychology and organisational development solutions.